The beauty of hydraulic quick disconnects in Fontana CA is that they make working on your hydraulic equipment so much easier. Instead of having to go find specialized tools to disconnect various components when they need service or maintenance, all you have to do is snap the quick disconnects apart, service the component, and snap everything back together. Working with quick disconnects helps reduce down time due to repairs, which ultimately saves you money. 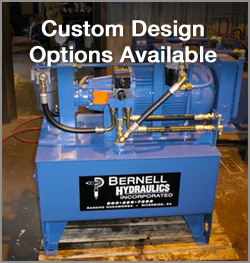 At Bernell Hydraulics, we carry an extensive selection of hydraulic quick disconnects in Fontana CA from some of the most respected names in the industry, Parker and Snap-Tite. We’re actually an authorized distributor for these brands so we can offer you guaranteed factory-certified quick disconnects. We offer three convenient ways for you to get your quick disconnects: come visit one of our stores, call us and have us deliver the part to your work site, or have us ship it anywhere in the US.